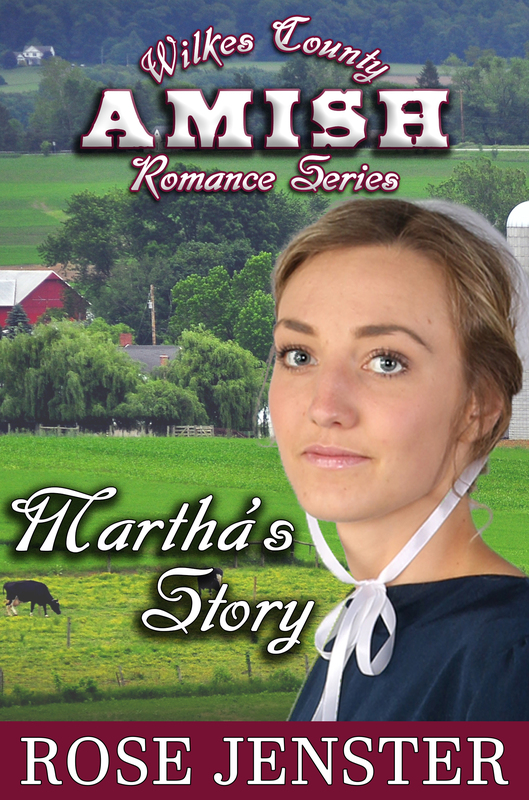 Martha’s Story is the first book of a new series and it is a fiction book revolving around an Amish community in Ohio. Martha’s sister fell in love with a man outside the community and she moved away. This created a big void for Martha. The book unfolds involves her vacillations between the Amish and English worlds as well as her courage, faith and search for true love. You can pick it up here: Martha’s Story . If you belong to Kindle Unlimited, you can read it for free. (They also have a free 30 day trial to test it out). I have gotten requests for an Amish series and have always been interested in the Amish Communities since a childhood trip to Pennsylvania with my family. Later, in college, I had a friend who grew up in an Amish family and we had many talks. Both this new series as well as the first series (Montana Mail Order Brides) deals with young women looking for answers and seeking happiness. The show “Return to Amish” is very popular now, and shows conflicts between the Amish and English worlds and journeys of several people. My own series, will be family-friendly so that all ages can read it. I also am having each book in the series have a happy ending as people have told me that’s what they look for in their reading breaks away from daily pressures! I’m the same way, so these have a strong similarity to the mail order bride series. If you’ve never read anything before about Amish culture, I hope you will enjoy this. Each book in the series will have a different person in the Wilkes County Community featured. Some may be conflicted between the Amish and English worlds, others may temporarily want to test out the English world and finally others are very happy to stay solely within their tradition. I hope you’ll enjoy both series. If you’ve only read Amish stories and want to try Mail Order Bride novellas, I think you’ll find that there is a commonality due to the strong spiritual values, cultivated ethical principles, value of family and search for goodness, loves and true peace. I never read an Amish story before and I loved this one! I have read a lot of mail order bride stories and have been a fan of yours Rose for a long time. When I saw an Amish book I figured I’d read it and I’m so glad. It was very heartwarming and I loved that it was sweet and can have my teenage daughter read it too. I understand the protective instincts and fears a parent could have about their daughter leaving the Amish tradition. Someone wrote it seemed like hate, but to me, it was a momma bear’s protectiveness (and by extension the whole community). I saw a spirit of care, deep love for tradition and fears of going astray that I think every parent has. I don’t know much about shunning, but I can see how the outside “English” world with many temptations could be a threat. Great book and hope to see book 2 come out soon. Thank you for your thoughtful comment and I’m so glad you enjoyed the book. There are very strong parallels between the Mail Order Bride books and the Amish Romance Series in terms of the faith, courage and hope for true love. Respect for others, hard work and compassion are strong in the heroines . I think sometimes protectiveness can be mistaken for hatred, but the shunning of the Amish isn’t hatred. It is based on a love for their community and desire to keep it intact. In the series, there will be people with main characters that will reject their past, embrace and affirm their past as well as try to integrate both! But the search for true love and happy endings will always be there!